Hajj, for many, is once in a lifetime journey. So you want to be well prepared. People think its all about the packing, no doubt it is important, but what you need to be preparing for, are two thing : Hajj Rites and Rituals and secondly the Spiritual connection with Allah and the change in you from Hajj. This post focuses on the Hajj Rites and how and where to prepare for them. Rasool Allah Sallalahu Alayhewasallam perfomed Hajj just once in his life and he thoroughly explained each and every aspect and ritual. But now a days, with so many sects and groups..every one seems to have their own version of Hajj rituals and rites and duas. So you will have differnt people telling you many different things during Hajj and this will lead to nothing but confusion. You will not know who is right and who is wrong. You will not know who to follow. People will be telling you things which are poles apart! So the only solution is to be well informed. Your knowledge should be deep and based on evidence so you will not waver. Everyone wants to prove that their version is the correct and final version..but everyone seems to forget the version of Rasool Allah.. the Sunnah.. the rites taught by Rasool Allah.. which is clearly preserved in authentic hadiths. So Here I will list all the resources which helped me a lot in having a deep understanding and knowledge of the Hajj rites as preserved in the Sunnah. So my sincere advice for all who are going for Hajj is not to rely on secondary information given in books and lectures but to read the hadiths yourself. InshaAllah you will be fully content, happy and satisfied when you are performing Hajj and you will not be confused when you look at all those doing things differently and inviting you to it. 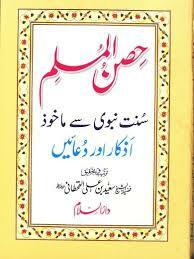 You can buy this book from Darussalam and Al Balagh Book stores in Karachi and Islamabad. 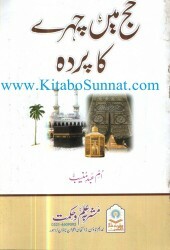 Available in both English and Urdu.. a very concisely written, well organized and to the point book which will make you easily understand the rites of hajj.The best thing is that every topic is given as a heading with the hadith to prove it. 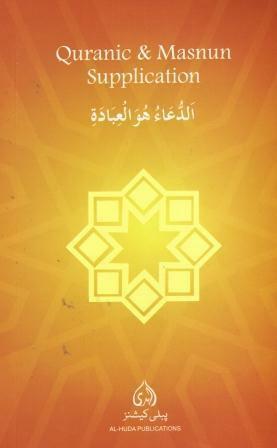 I would recommend reading this book first and then the Fiqh ul Hadith book. Both should be your primary resources for learning about Hajj and Umrah. Take them with you and read then frequently. This is a very thorough, very detailed travel guide for Hajj. Benefited from it immensely. Rasool Allah Sallalahu Alayhe Wasallam has said tha DUA IS IBADAH. Unfortunatley we can not even come up with good duas, we dont know how to ask Allah and what to ask for except for our lowly earthly needs. Fortunately Rasool Allah did not even leave this aspect of Ibadat to us and in fact left us with beautiful concise and comprehensive duas. Try to follow the sunnah in every aspect of your life. These two books can really help you recite the masnoon duas at their specified time and also adopt many other every day Sunnah. So make plenty of dua that may Allah guide you to the Hajj rites and rituals which are in accordance with the Sunnah and to help you perform them without mistake and error. 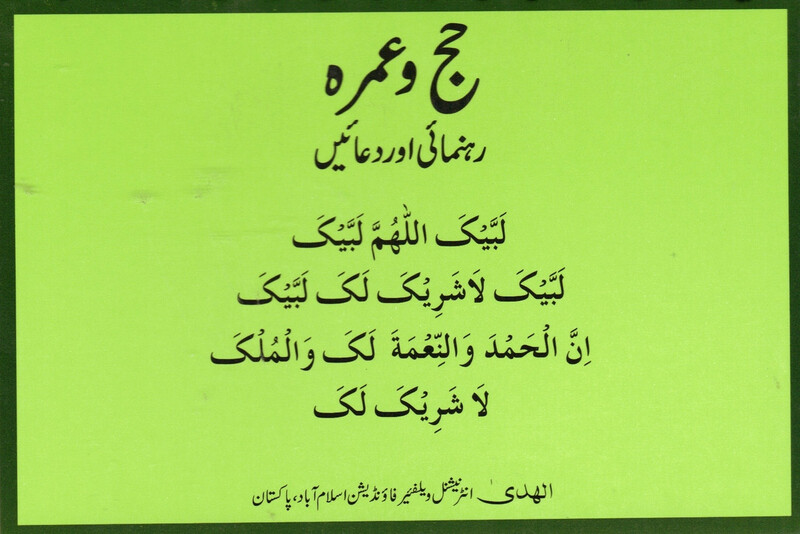 Cards describing Method of Funeral Prayer and Supplications for forgiveness. In both the Harams i.e. Masjid e Haram in Makkah and Masjid e Nabawi in Medina.. after every fard prayer there is a janaza (funeral) for which the funeral prayer – namaz e janaza – salatul janaza- is offered by the Imam. 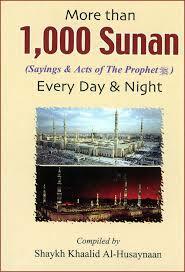 Rasool Allah sallaalhu alayhe wasallam has informed us that there are huge rewards for the one who offers this salah. “Whoever attends the janaazah until he offers the prayer will have one qeeraat (of reward), and whoever attends until (the deceased) is buried will have two qeeraats.” It was said, “O Messenger of Allaah, what are the two qeeraats?” He said, “Like two great mountains,” meaning, of reward. (Saheeh – agreed upon). so by just praying this very short prayer for your deceased Muslim brother or sister , you gain a mountain worth of good deeds! SubhanAllah and that too in the Haram where the deeds are multiplied. So why not reap the rewards and pray the funeral prayer. It is short, simple and easy. Before the prayer begins .. there is an announcement in arabic “As Salaatu Al al amwaat” ..literally namaz for the deceased. So you will know the salatul janaza is about to be prayed. There is no sujood in this prayer, no ruku.. you just stand.. and then say salam standing and the imam will only say the takbir out loud and the salam and you have to recite in between the Takbiraat. Here is how its prayed. AllahuAkbar recite aoozobillah recite bismillah recite Surah Fatiha.. recite a small Surah then Imam will say Takbir.. say Allahuakbar recite durood then another takbeer.. say Allahuakbar and then recite the dua e maghfirat for the deceased. Then Salam. You will have to memorize the supplications for the deceased. There are many and you can chose any one to recite in the prayer. You can find many duas here and you can also buy the dua cards too to take with you and to distribute as well. These duas can also be found in the Dua books mentioned above. One strange and sad thing that I observed in the Harams was that women from Pakistan India Bangladesh and also sometimes Malaysia would not offer the funeral prayer. When I asked them why.. they would say women are not allowed to pray the janaza prayer. This is a totally misconception. Just because women are not allowed to go to the graveyard, it does not mean they are also not allowed to pray the janaza pryaer. You are in the Masjid SubhaAllah! How can any prayer be forbidden just because you are a woman! Astaghfirullah! We also have clear and authentic ahadiths where the Sahabiyaat have clearly stated they they performed Janaza prayers in the masjid. Will provide the proofs in another post InshaAllah. But my sincere request is to please study you deen from the primary authentic sources and not follow what ever you hear people saying or what you heard in a bayaan or some mufti told you not to pray the janaza prayer. Please see the teachings of Rasool Allah and the actions of the sahabiyaat. May Allah guide us all to the pure teaching of Islam as taught by Muhammad Sallalahu Alayhe wasallam! 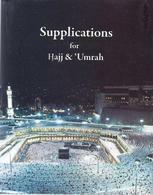 UPDATE: New Tips for Zam Zam and Arafah added! The first daunting task when going for Hajj is to study and learn the Hajj rites. The second is what to pack for Hajj. Here are just a few things which really helped me during my Hajj journey which i undertook in Sep 2014. Nokia (or any other) simple cell phone which has a good battery which lasts for at least two days. While in Mina-Arafah-Muzdalifah it is difficult to charge the phone and its very imp to have the phone, so you can be in touch with your mehram. Lots of people get lost, so this is very imp. Secret Under Clothes small bag to keep your money safe on you. 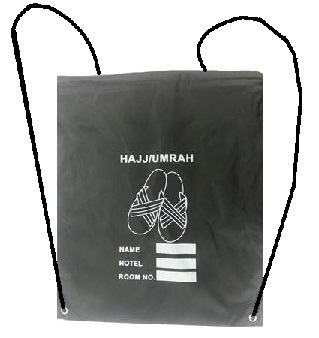 You can buy this or use any other small hanging bag to keep under your ihram or abaya. Shoe Bagpack: Don’t leave your slippers here and there. If you keep your slippers in nooks and corners, you will never get them back because the haram cleaners pick up and throw them away in trash. Keep this bag with you and when you enter the masjid or start tawaf, put your shoes in it and wear the bag like a bagpack. Towels for Tawaf: The best time to do tawaf is before zuhr prayer. Go around 10:30 and do as many tawafs as you can. Finish a good time before zuhr or you will never find a place to pray. (women should pray in women areas or where there are no men behind them or on the sides. The prayer is not valid if men are behind you or next to you. Their saff should be separate and ahead of the women’s saff. To find such a place women will have to leave tawaf extra early.Basement of the Haram is best for women with separate areas )However at this time the sun is shining very brightly. Take a pack of face towels with you. Keep them in your small haram bag. Just soak the towels with water or zamzam and put them over your head. Take bottles filled with zamzam with you for tawaf and InshaAllah the tawaf will be easy to do even in the scorching heat. Deep Heat Spray or Cream and crepe bandages: I can not tell you how much relief these two things provided when my legs muscles were sore from walking. No matter how much you prepare.. you are never prepared.. you have to walk ALOT specially to and fro between Azizia and Mina and walk to the Jamaraat and back to your hotel. Vaseline, Foot Cream, Bandage: Keep your feet in top condition. Very comfortable slippers at least two and walking shoes(for ladies): If you can get rubber crocs then doing wudu would be easier.. otherwise wear rubber slippers. Make sure they don’t hurt you if you walk in them for a long period. For long distances.. like walking to Mina Tent, walking to Jamaraat and walking to azizia I always wore my comfy walking shoes with socks. Shoes would also protect you from accidentally injuring your feet. Men should also take extra slippers. They may get lost or stolen and you don’t want to walk bare-foot. Honey and Cinnamon powder. You can easily buy from Bin dawood stores. Regularly drink this hot tea made by dissolving one tablespoon honey and cinnamon powder in hot water. This will prevent flu/ cough/ allergy InshaAllah. Your shoe bag. Stuff it in and take out when entering the haram to keep your shoes. Once in the masjid… tie your shoe bag to your bagpack so you don’t lose your shoes. 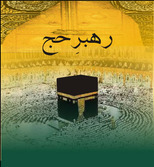 Your dua books and cards, tawaf tasbeeh, Hajj and umrah books.etc . Your Hajj ID cards/ imp documents that you have to carry all the time with you. Keep some amount of money in the bag and rest of the money should go into the hidden underclothes wallet. Always keep it under your clothes. Dates ,dried apricots , biscuits etc for a quick snack when hungry. Spray bottle and towels for wudu. Panadol, disprin some other meds you take. Foldable small umbrella. You need to keep this with you when you go to Mina. It comes very handy and gives you shade when you are walking to Jamaraat from your tent or walking to your hotel in Azizia. On the 8th ZilHajja you will pack a small bag and travel to Mina.. spend the day there and the next morning after Fajr leave for Arafah spend the day there and then after maghrib you will leave for Muzdalifah and spend the night there. The following morning you will come back to you hotel room most probably which will be in Azizia. So the first day of Hajj you have to pack very carefully. You can not take alot of things because the space in Mina is very limited and you can not carry so much stuff to Arafah and Muzdalifah as well. Following are some things you should pack for these days which is apart from the small bagpack you are carrying. Sleeping Bag or straw mat for Muzdalifah. Some nice foldable ones are compact and light to carry. Inflatable or small pillow for Muzdalifah. Bed sheet as mentioned below for women to cover yourself. Wear slippers to Mina and keep one extra pair. Fragrance free soap. Cut it up into small small pieces and take one piece with you to the washroom everytime you go. antibacterial cream like polyfax and bandage for foot in case you get injured. 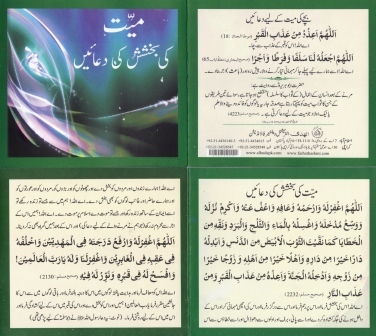 Quran and azkaar books. Hajj guides. Water bottle. make sure you have enough water for Muzdalifah. Some dry food items like dry fruits, biscuits,dates. Do not eat alot in Mina and Muzdalifah. Do not drink tea. Avoid rich oily foods. If your group provides you with oily food and lots of tea.. plz avoid it and instead eat these dry things you carry with you. You don’t want to visit the washrooms that frequently! Spray bottles and small towels for wudu. When your group takes you to your Mina Tent on 8th ZilHajj, look around…you should see a big yellowish royal palace on one of the hills in Mina. Have a good look and use this as a guide to find your tent location. Note down your Tent no, street no etc so you may easily find the way back to your tent on 10th Zilhajj. There will be no buses or any other transportation within Mina on 10th and 11th ZilHajj and you will have to walk on foot from Azizia to Mina. On 10th Zilhajj, the best time to do Rami is Chasht time.This is when Rasool Allah did Rami on the day of Qurbani. It was not very crowded InshaAllah and we did Rami easily at Chasht time. For the ayaam e tashreeq (11th, 12th and 13th) time for rami is between Zhur and Maghrib and best time is before Asr(Asr as observed by the Saudis and not the hanafi time). It is not so crowded at this time InshaAllah. Please also note that it is wajib to spend the day (as much as possible) and especially the nights of 10th, 11th and 12th ZilHajj in Mina, however the groups mostly arrange dinner in Azizia hotels. So the best thing to do is go to Mina at night spend the night there and stay there till zuhr. Go to do rami after zuhr and lunch. This is the best time to go and its not so crowded as well. After Rami go back to your hotel in Azizia for resting and dinner and then back to Mina at night. We easily reached Arafah by bus from Azizia without much traffic jam. There was a big tent in Arafah with air coolers. However, some of the coolers were not working and most women wasted their time trying to get it fixed and arguing and bickering with each other over the coolers. Please do sabr, it may be very hot, the coolers won’t work, you might not get a very comfy place to sit. Do SABR and keep yourself busy in azkaar. Do not talk and gossip. The environment inside the Arafah tent was more like a party. Free tea, laban, juices and drinks… please avoid drinking and eating alot. The toilet arangments in Muzdalifah are not so great and you have to spend the entire night there…most probably without using the toilet or standing in a queue waiting for your turn. If the enviroment in the Arafah tent is party-like ,please leave the tent and go outside and take your fold able umbrella to give yourself shade and make dua intensely. THIS IS HAJJ. Make the most of it. There is a Hajj Khutbah from Masjid e Nimrah at Zuhr. Often the meal is served at Khutbah time in your tent and there is no arrangment for listening to the khutbah. delay eating and tune in to the radio (on your cell phone using headphone) to listen to the Hajj Khutbah- which is in Arabic, even if you don’t understand it! It is Masnoon to listen to the khutbah. DON’T BUY pre-filled zamzam cans! It may not be zamzam. Fill it yourself. Don’t drink anything else other than zamzam while you are in Haram. It keeps you healthy and strong and minimizes the trips to the toilet. This is my personal experience. Buy a large plastic water bag which you can easily stuff in your bag. When you are going back to Azizia or to your hotel, fill up this bag (it can hold 6 liters and you can buy this from bin dawood) from the zamzam coolers which are placed outside the new building. It’s not very crowded there. This way you will only drink zamzam even in your hotel room. Take this zamzam filled bag with you when you are travelling to Medinah and/or Azizia for good. At the airport,when you are going back home, unfortunately, zam zam cans get stolen.. to avoid this buy the 5 lit or 10 lit can, whichever has been allowed by your airline(This is V imp or they won’t let you take the zamzam if its not the amount which they have allowed) and pack it in a box or a bag so it is not identifiable from outside.That way your zam zam cans will not get stolen as no one will know what’s inside. The Following tips are for women. Bedsheet : To cover yourself in Mina and Muzdalifah. Especially in Muzdalifah, if you don’t have a tent, you are out in the open and lots of men can be around you, so cover yourself with a big sheet or best is to buy a travelling tent for sleeping in. Long loose abayas for Masjid e Haram: Front closed, long and flowing abayas were good for the Haram because you have to walk with lots of men around you. Sometimes even way before the Salah begins …people just come and sit in the Masjid courtyard and there is very less place to walk or you have to walk with men sitting all around the path. I also wore socks to cover my feet and also wore sunglasses. My abaya sleeves were long enough to cover my hands as well. I felt much comfortable totally covered. Sadly men have totally forgotten the command to keep their eyes lowered and they stare at whatever is visible to them. (even hands feet and eyes) I was totally comfortable in my long flowing abaya, dark glasses and socks. Alhamdulillah. Shorter Abays for Mina, Arafah and Muzdalifah: Shorter Abayas which are not very flowey and do not drag on the ground with simple sleeves are much more preferable in the days of Hajj because the streets are not very clean in Mina and especially the small corridors between the tents are not clean at all. They are easier to manage in the washroom as well. Pack of scarf pins, scarf clips, hair clips and hair bands: we all know how many just get lost… so take a pack. Don’t waste your time looking for and buying them from shops. Often the quality is also very bad and price too much. Eid Clothes: Don’t forget Eid and pack some new or nice clothes to dress up on Eid.But plz dont ruin your Hajj by going infront of Na-Mehrams with truck loads of makeup jewellery and nice clothes. Start wearing the abaya my dear sisters.. cover your beauty and obey Allah happily. Scissors: For cutting you hair after the umrah and tawaf e ziarah. Plz dont cut your hair in an open public space. Come back to your room and then cut your hair to exit the state of Ihram. Most of all keep making dua to Allah to make this trip easy for you.. to provide you His help throughout the journey and accept your Hajj and all your ibadaat. Hajj Diorama Project : Method of Umrah Explained from javeriaaqeel on Vimeo.